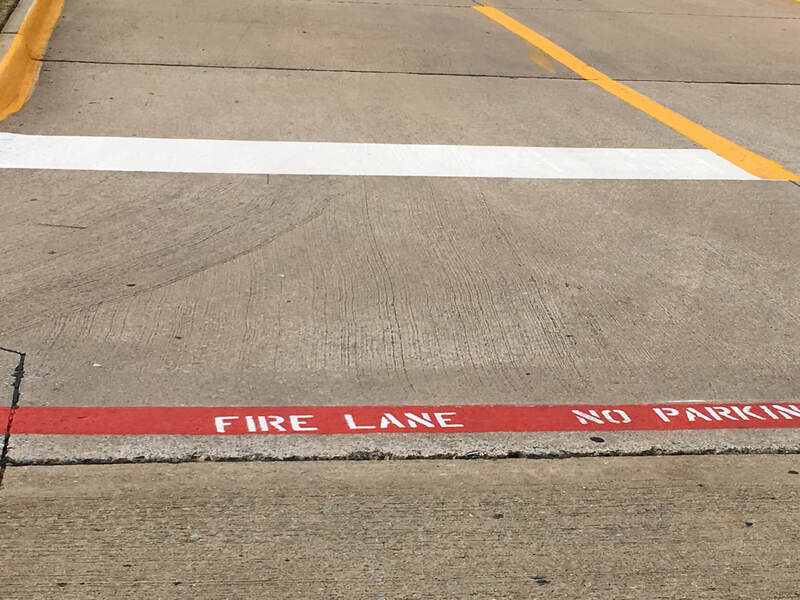 ​As you know fire lanes are marked in parking lots near buildings and other structures, as deemed by the fire codes for the city. Normal traffic is not allowed to park in the fire lanes to make sure that in case of any emergency the access to safety equipment is done without any hindrance. These lanes are also defined as a passageway to access roads which allow fire department vehicles to pass through easily. When a fire lane is designed in any area, there are some requirements which need to be fulfilled first. Fire lane markings are required in various locations depending on the property, and the structures built on the property. These markings are also required for specific fire apparatus access features like turnarounds. The fire department access should be twenty-six feet wide or less on both sides of the road. One side of the fire department access roadways with widths which is greater than twenty-six feet and can go up to thirty-two feet. There are four ways to mark the fire department turnaround when needed for a specific property. The entrance of the turnaround is marked differently depending upon the width of the roadway which can or cannot be based on the zone of the site. Apart from marking the parking area for the fire lane, installing signs are also a requirement. 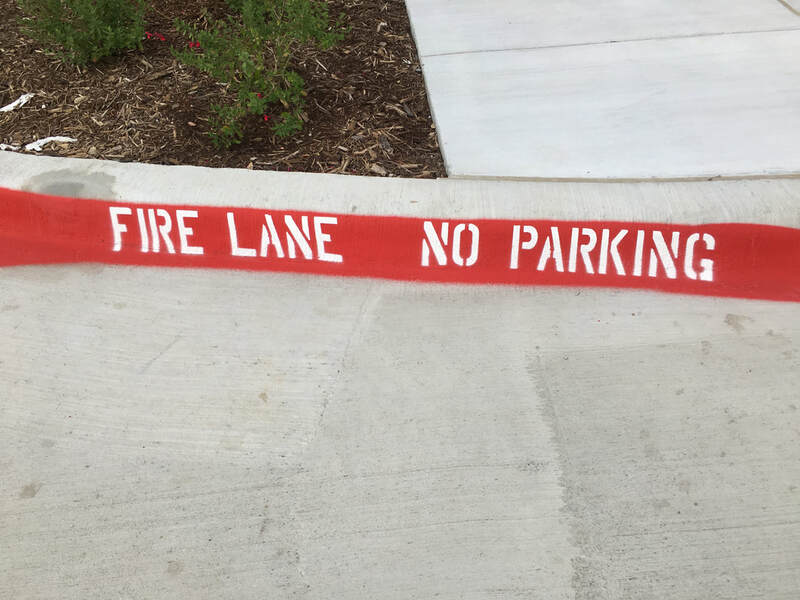 ​The curbs which are designated to be a part of the fire lane area are required to be marked with red paint and should have written “NO PARKING FIRE LANE” on it. The complete area which falls under the Fire Lane should be painted parallel with the curb and should be at a distance of at least three meters from it. It is important to keep in mind that while painting the words “No Parking Fire Lane” on the pavement, all the letters should be written in block letters. The height of each letter should be at least 24 inches, and the width should not be less than 4 inches. As mentioned before, apart from marking the area as the fire lane, signs may also necessary to show the general public where not to park. The signs are always required to display the words, “No Parking Fire Lane.” The background of the signboards should be white reflective, and the letters written on it should be in red. The signs must also provide directional information if applicable. When installing the signs, keep in mind that the height of the sign should be at least 7 feet above the ground. The fire lane signs should be spaced after every 100 feet. It is also essential to ensure that the placement of fire lanes is in accordance with the placement of fire hydrants in the area. This usually works when only one side of the roadway has fire lane marking. Keeping the fire lane on the same side of the road where a fire hydrant is present makes it easier to avoid any hindrance by parking. It is also essential that a fire lane can access the road from both ends. If it is not possible for any reason, the fire lane must be made into a dead end, and a fire turnaround should be put in. The property owner must maintain the fire lanes at any cost. The areas should be repainted each year or at least when they are not legible anymore. 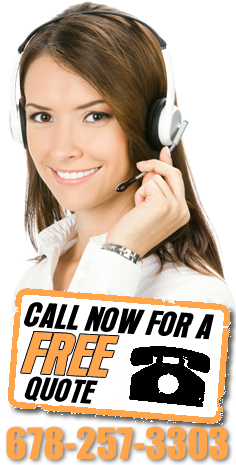 ​The good news is you do not have to worry about all of these specific requirements. Our professional parking lot striping crews are familiar with all of the specific fire codes for all cities and suburbs in and around Atlanta, GA and we will ensure that your parking lot will pass all fire marshal inspections by the time we finish painting the stripes and pavement markings on your parking lot.